I arrive to The Professional’s house and he pulls out two wines- a VA red blend (Willowcroft Fitzrada) and a 2011 Oracle Pinotage. Willowcroft DONE IT! 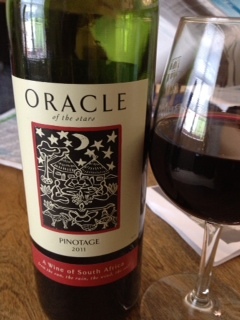 Pinotage…Hmm…I’ve only had it once and that was a couple of years ago. Yes, I can remember when I first tasted a wine. I was pouring wine for the Washington Wine Academy. If I recall correctly, it’s a single grape variety that originated from South Africa, fruit-forward red and sometimes sweet. Let’s see if my memory serves me correct; time for research. Before I continue, I have to share that an article from the Wine Spectator website has me all jacked up! The writer said that many of us are referring to wine and grapes incorrectly. A varietal is the wine made from a single grape variety. Chardonnay is a variety, not varietal. YUP! My mind wants to say varietal; however, the newly learned lesson is telling me “You’re referring to it incorrectly.” WHICH IS IT! The type A in me is coming out and I want to be accurate. Research time- Pinotage is a grape “variety” that was created by Abraham Perold in 1925. 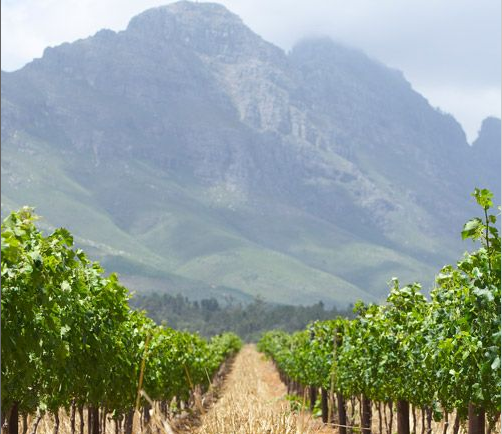 Pinotage is the signature grape of South Africa, which only consists of 6% of South Africa’s plantings. Pinotage wines have smoky and earthy flavors. It’s often used as a blend, to produce fortified wine like ports and red sparkling wines; red sparkling wine, that sounds interesting. There’s even a Pinotage Club and a Pinotage Association (www.pinotage.org). By the way, it appears the Wine Spectator author is correct; a grape is referred to as a variety not varietal. Confession, while researching, I had a sip. I was just overcome with a hot flash that had no fury. During the last 5 days of eating clean, I had very little hot flashes. One sip of wine and BANG HOT FLASH! Round 2 – Spicy with a hint of sweetness on the nose; woodsy-smoky flavors and nice firm tannins.